The anti-American anthem protests have become the illness the NFL can’t cure. Commissioner Roger Goodell waited two full seasons as the ugly protests ruined his league’s brand. Now one anthem protester just ramped up his attack on the league with one terrible accusation. 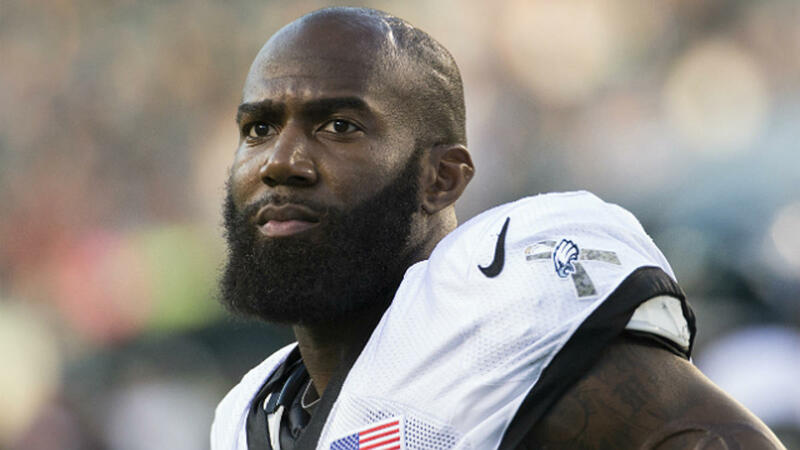 Philadelphia Eagles defensive back Malcolm Jenkins has been one of the most vocal anthem protesters in the league. Behind perhaps only ringleader Colin Kaepernick, Jenkins is the face of the unpatriotic movement. He was the representative for the players in negotiations with the owners over funding for activist causes. Jenkins’ profile even seemed to bother Kaepernick’s former teammate and close friend Eric Reid, who knelt beside Kaepernick during the 2016 season and currently finds himself without a team. Reid called out Jenkins for subverting Kaepernick’s mission by reaching an agreement with the owners. After suffering a big loss in ticket sales, television viewership, and advertising revenue, Commissioner Roger Goodell finally decided to try and stop the bleeding. The league saw its first two-year decline in popularity in ages. Goodell tried to quell the anthem debacle by requiring players to stand for the anthem or remain in the locker room. A small but vocal minority of players balked at the sensible new rule, which led to scuttlebutt that a contingent of players was planning a protest to defy the new policy. The Miami Dolphins were rumored to have planned to suspend players for disrespecting the anthem, which triggered a moratorium on Goodell’s new policy. As the new NFL season looms, the players and the owners are at a standstill. That didn’t stop Jenkins from spouting off about alleged race insensitivity on the part of the league. Jenkins’ comparison is preposterous. Talking about domestic violence and breast cancer is no analogous to the anthem protests. The league’s initiatives on domestic violence and breast cancer were about raising awareness, not protesting the Star-Spangled Banner. If players had chosen to raise the issue of breast cancer by kneeling during the national anthem, the backlash would’ve been severe. It’s possible to raise awareness without spitting on the American flag. The players have many outlets to inform the public. They can use their vast social media presence, release statements, call press conferences, cut PSAs, or wear decals and patches on their uniforms. Instead, Kaepernick chose the most powerful American symbol to denigrate, and dozens of players followed his unpatriotic lead. Ironically, Jenkins seems to realize the protests are terribly counterproductive because he chooses not to protest anymore. If the protests are no longer effective, the players shouldn’t be up in arms about no longer having the “right” to protest. What Jenkins can’t admit is the protests were ill-conceived from the beginning, and many players regrettably fell in line. Finally, Jenkins’attack on the NFL is particularly galling when the league committed to giving the players $89 million to various causes. If the league is bad on race issues, it has a strange way of showing it.